These just arrived at my doorstep and I am SO excited about them I had to take pictures!! There's no sun for real swatches, but I got some good bottle shots. I love absolutely everything about the Rock Stars. The colors, the bottles, especially the names. Less talk, more pics! As usual, click to view full size. These suckers are HUGE. 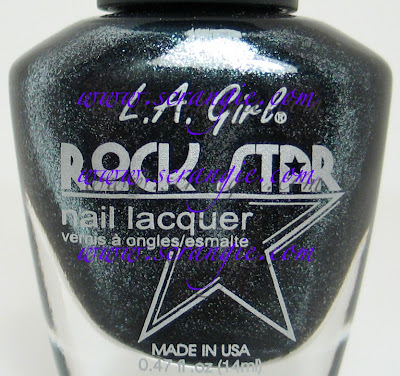 Rockstar, Heavy Metal, Supernova, Groupie, Punk. 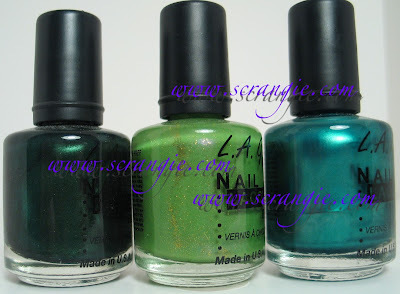 Party Animal, Addict, Backstage, Paparazzi. Head Banging, Crowd Surfing, Scandal, Overdose. Live On Stage, Double Platinum, Electric Guitar. 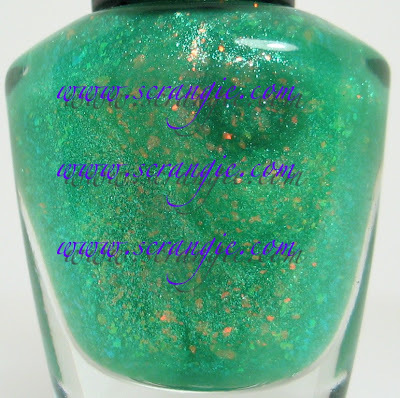 Avocado Sparkle. 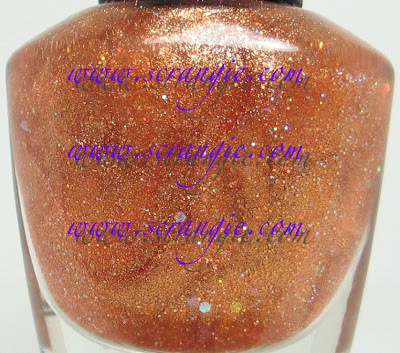 Has golden glitter and blue/purple flash. Really unique. Now I'm going to go pass out. Awesomeness overload. WOW, the colours are fricken AMAZINGGGG!!!! Where did you purchase these? I HAVE to have ALL of these!!!! They're SOOOOOO cool! Please share where to buy them. Holy cow, those are amazing! Did you pick these up from Cherry Culture? I'm gonna run and look for them! Oooh they all look fabulous! I love how they're so different from each other. Wait, I think I found the word. You got that right...awesomeness overload. I are too gorgeous!!!!! Groupie, Overdose, and Punk are visual orgasms! I can't wait to see your swatches of these. These are amazing! Swatches quickly! 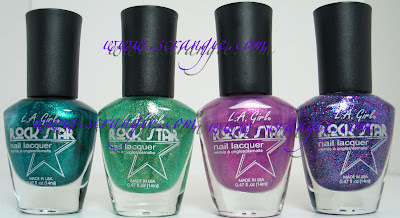 Does one of them look like Rescue Beauty Lounge's glitter polish? I hope so. Are these expensive? I've never used this brand. what what what??!!! There are so many that I really HTH!!! holy crap! I love Overdose and Supernova. 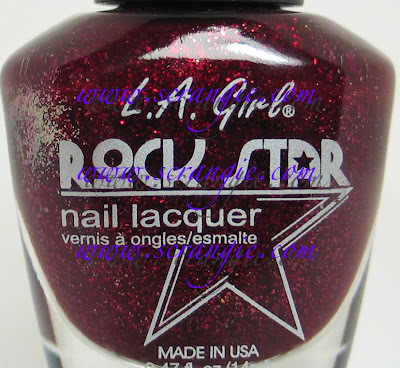 I'd order them right now, but Supernova is OOS at cherryculturev(boo... I knew I should've ordered them last week), and the shipping from L.A. Girls was just too high. Can't wait to see swatches. The whole collection seems awesome - I can't pick just one or even a few, I love them all! OMG OMG!!! amazing! But holy crap $77.77 shipping for 4 bottles to Sweden is INSANE!!! That is some SERIOUS COOLNESS. Wheeee - amazing. 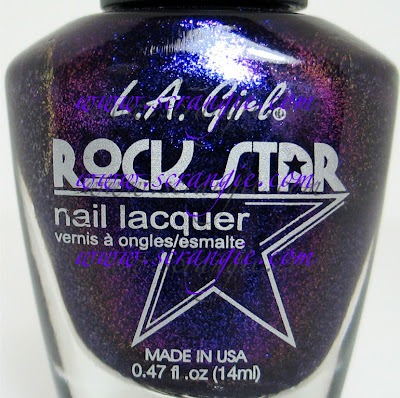 I like Rockstar and Punk. Can't wait to see the swatches. Tooo cool! On a rockstar note, I'm going to see BuckCherry at the weekend and am very excited! You lucky girl, can't wait to see the swatches there are so many fantastic looking ones! Omg, that is sure ALOT!!! 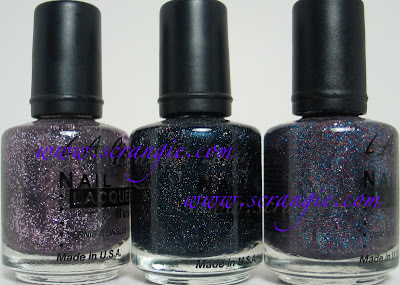 wow, these polishes are gorgeous! 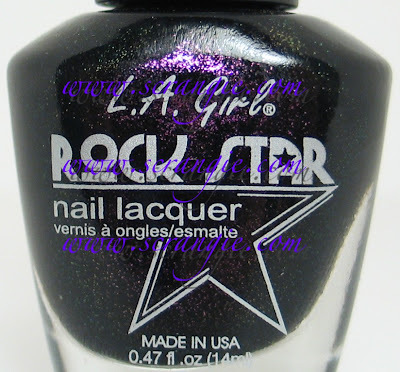 I just had a look at la girls website... unfortunately the shipping costs to germany are horrendous :( too bad. 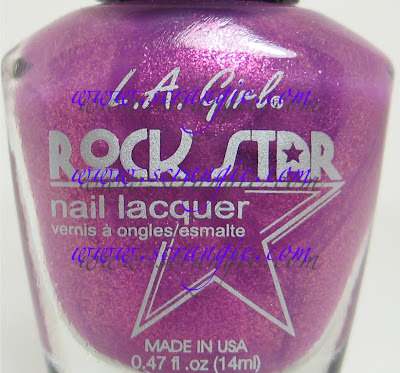 how similar are rock star and hot topic's iridiscent purple? Awesomeness overload indeed! My wallet is still panting from the MUA Top 20 over the weekend. I guess I'll have to wait to see your swatches. I'll be patiently waiting! 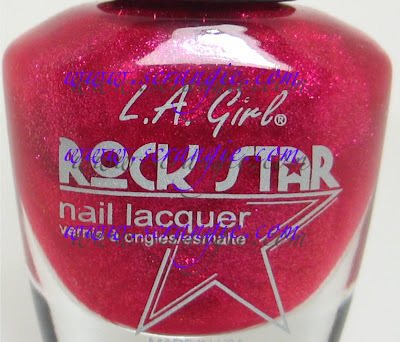 Ah, some colors are really awesome (I think of "punk" - rrrhhhaaaa) but there is NO WAY that I ever order there. I made an order simulation to check shipment charges to my country and for one bottle you get 57$ of shipping charge, 3 bottles, 68$. Ah ah! That's just plainly ridiculous (but Essie ask about the same charges on their website so it's not only LA Girls). I'll simple admire the swatches on your nails, if you don't mind Scrangie. Ah ah ah! Dag! These look ridiculously awesome. Can't wait to see these swatched. *passes out with you* OMG GORGEOUS!! Oh. My. God. Scrangie. These are fabulous looking and SO up my alley! I must have some!! Is there room for another dead body? 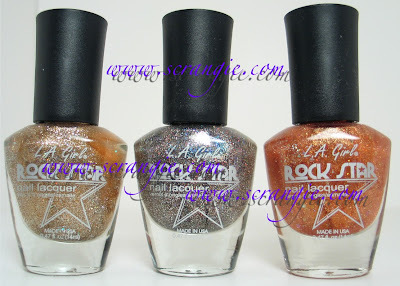 :) Love the colour range and the sparklies and flakies. I think I may have to start painting my nails everyday, with all the purchases I have been making! Those look really awesome! 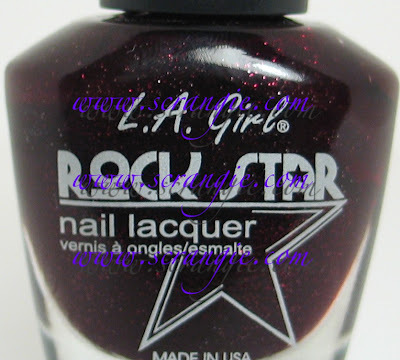 The only LA Girls polishes I had seen were the ones I would find at Forever 21, and they weren't all that interesting. I feel horrible lemmings coming on. I love these colors! Simply amazing. Glad there is a fellow metal lady that does a NP blog!! Oh wow...those look awesome. I can't wait to see swatches and read your review of the quality. 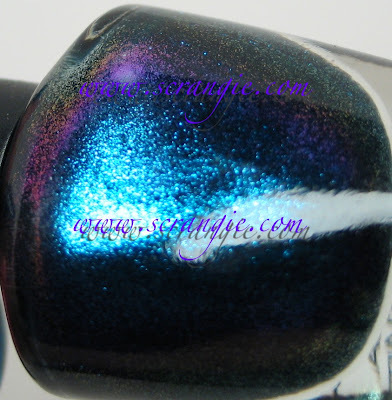 I've been looking for a polish that looks like Archetype's Oleander pigment, and Overdose just might do the trick. 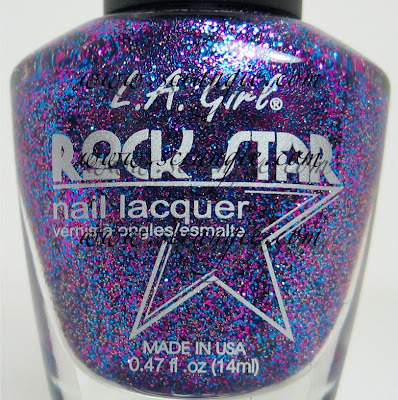 Which of the Rock Stars is your favorite so far? Of the ones I have already, Punk is mine. In fact, Punk has made it into my top 5, I think. Now you have me itching for a few more. 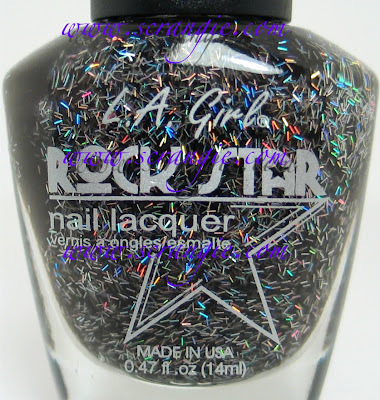 The 'Rockstar" rock star looks cooler than I expected. I've already fallen in love with them after I purchased Head Banging and Supernova, your post convinced me I needed more so I ordered Addict, Overdose, Double Platinum and Live on Stage :) I'm psyched! Wow, some of those have really unique textures! Can't wait to see them on your nails. YOU'RE KILLING ME, SMALLS! Errr... Scrangie. Seriously. Need. Whole. Collection. Still broke from BB Sale. You're torturing me! 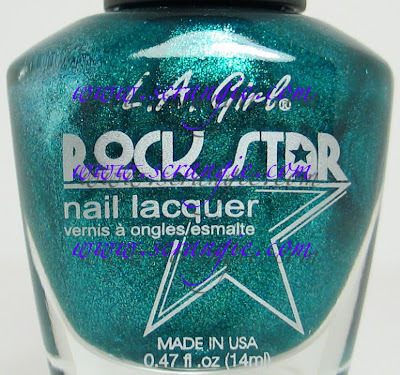 I couldn't even wait for the swatches, the bottle pics did me in! Mine are on the way~Thanks Scrangie!!! You, my dearest Scrangie, are a mean and evil person. You've made me go nuts!! :0) Rotten broad. saw it, fainted , woke up and saw the page again and..... fainted! OMG I can't wait to see swatches!!! I NEED ALL OF THESE DESPERATELY! 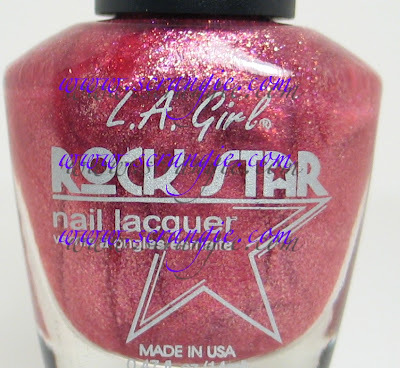 Groupie looks so amazing in the bottle.. hope you can swatch soon! Wow these are AMAZING! 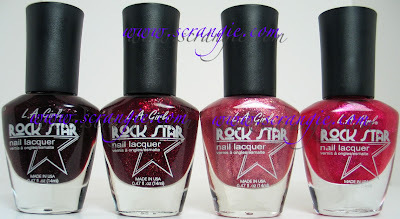 I am so loving head banging - thanks for the bottle pics, and I can't wait for the swatches! WOW! LOVE!!!!! i love ur blog! :) are u gonna do swatches?? ?